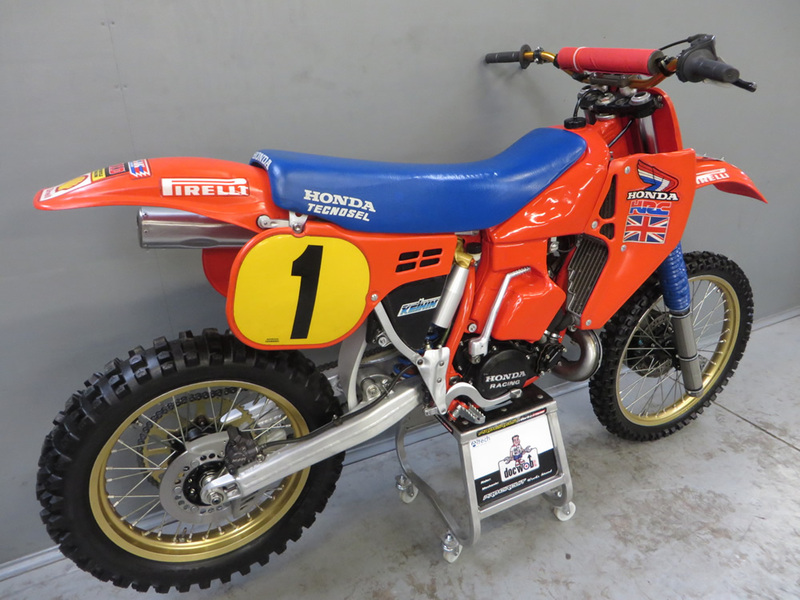 We were asked by Gary Cartmell, a reputable collector (trust me they are few and far between) to rebuild the 1986 Thorpe World Championship RC500 he had bought direct from the 4 time World Champ. We were a little daunted by the prospect. The bike was in ok condition, after all it was 30 years old - these things don't look pretty for long! 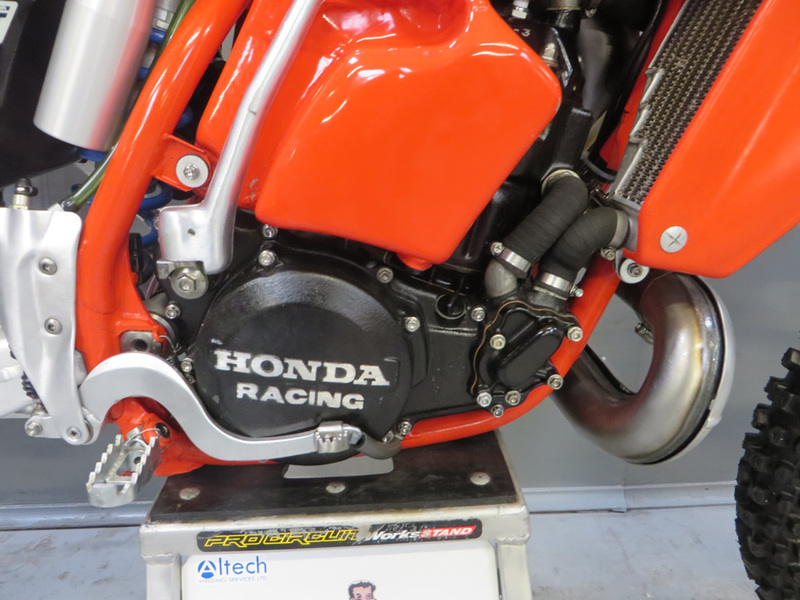 The mighty HRC Corporation gave the bike as part of the riders contract, should he win the FIM World Championship. 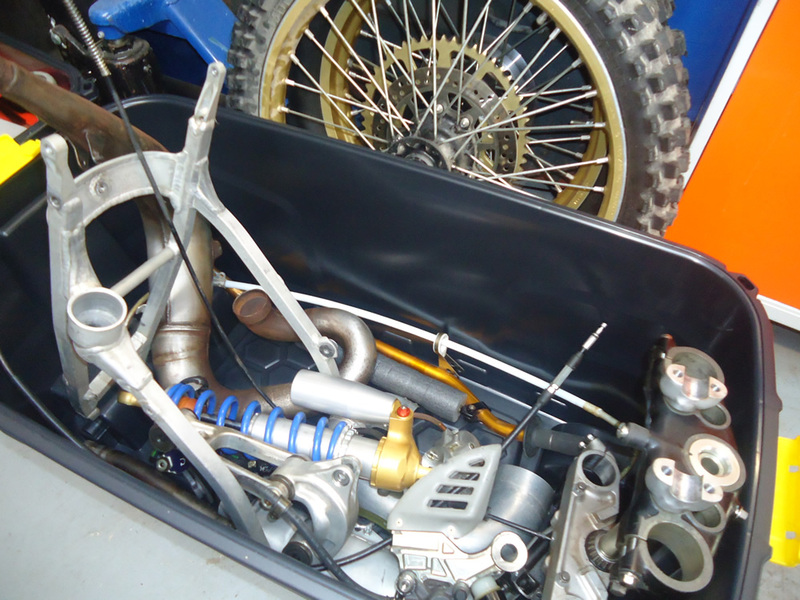 The bike had been in storage and on display in various locations post 1986 and unfortunately most of the titanium fasteners were missing. 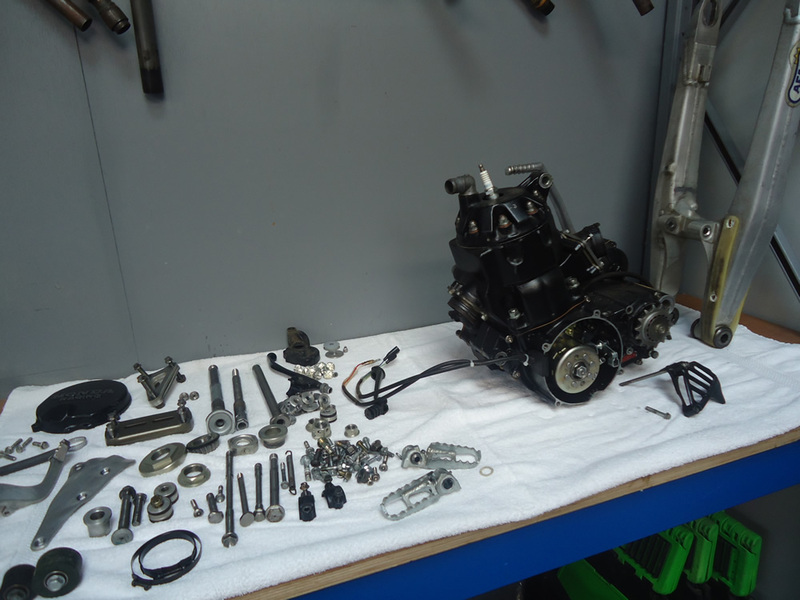 However, we stripped the bike to a bare frame to check the condition of every part on the bike. 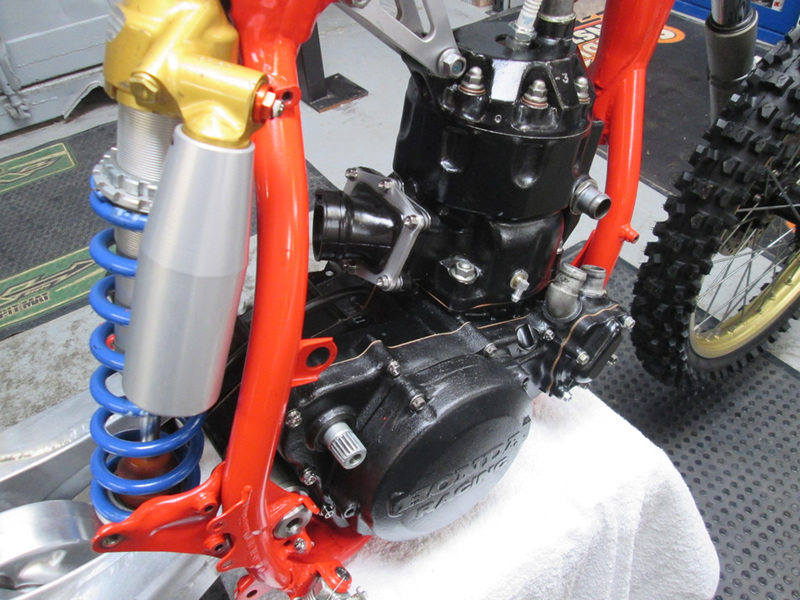 The front forks and rear shock had been serviced prior to arrival by Ex HRC Mechanic Jean Marie Hacking in France prior to arrival at Wobs HQ – all the suspension internals were original the only part that was missing was oil. Keith Thorpe, Dave's dad helped with an ex Thorpe Gearbox and a state of the art HRC Crank. 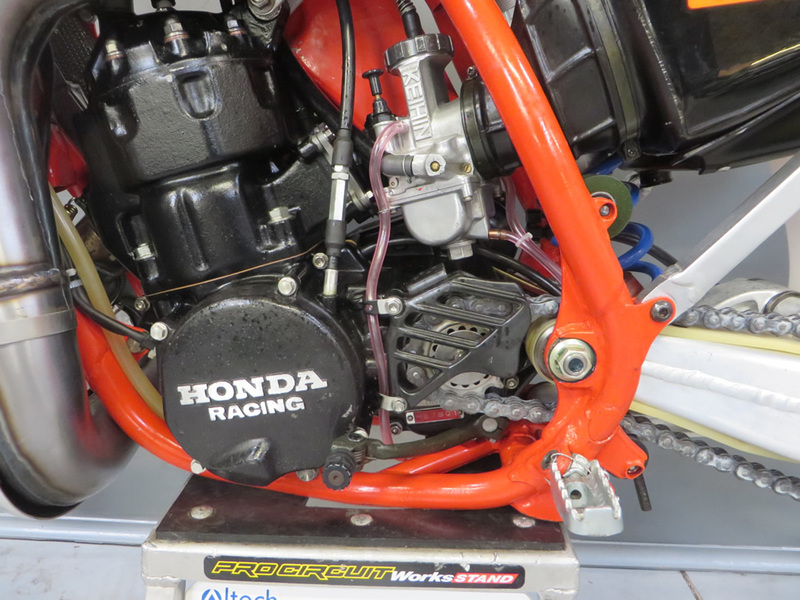 The only other part that was missing was a HRC ECU/Stator & coil again thanks to HRC Gary found one in Belgium. 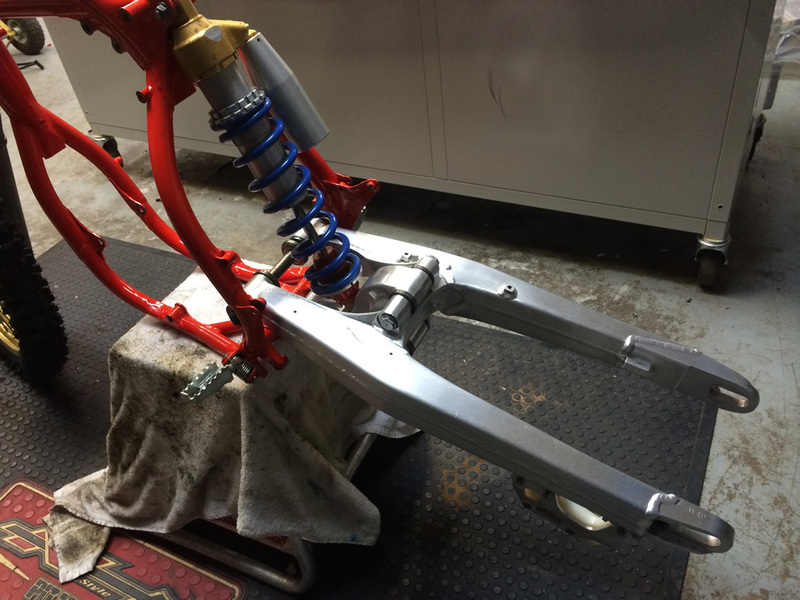 An unexpected and unwelcome problem was that one of the front axle mounts on the magnesium forks was cracked, and impossible to weld so we located another fork leg, actually the owner ended up with four, but the one we started off with was a completely different colour. 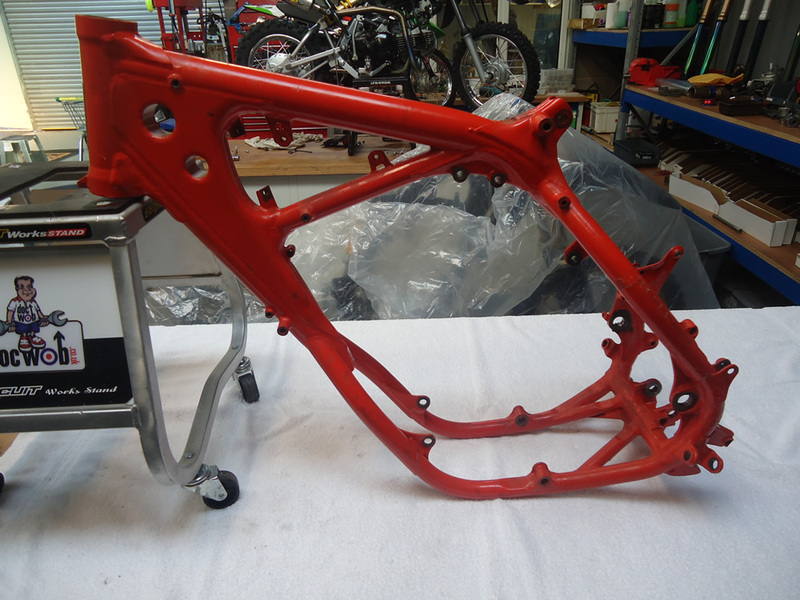 We found a specialist Magnesium anodiser to re-coat them and they came out a very similar colour in the end. Its such a hit & miss process with anodising but we came away with it ok. This thing was light years ahead of its time and dare we say it, almost an unfair advantage. 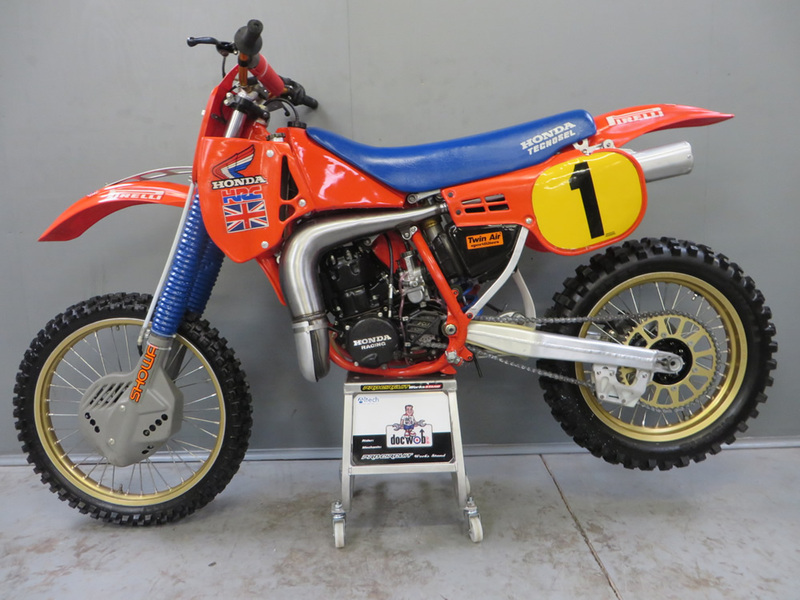 Its arguably one of the trickest motocross bikes ever made to this day. There was huge tension in the workshop when it came to fire up the bike for the first time in 30 years. 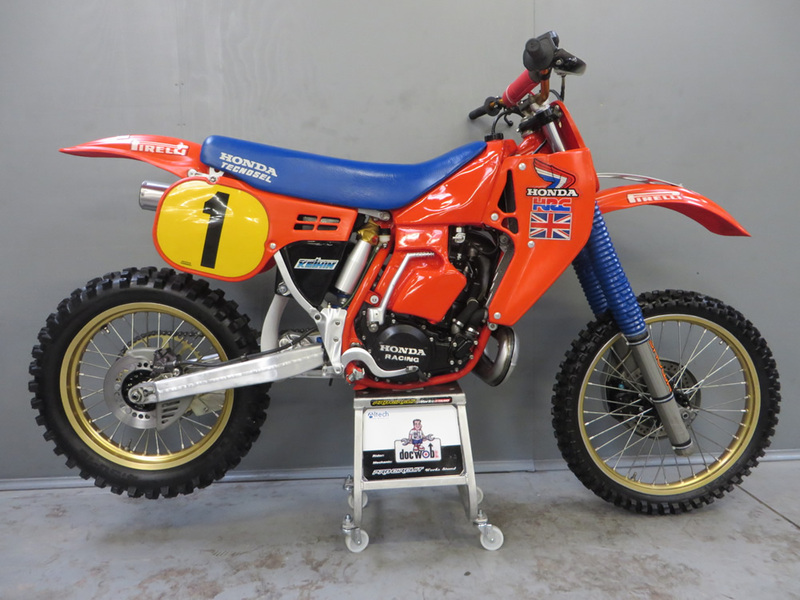 Gary had travelled to be there and Tony was given the honour of the big boot to start the most famous 500 MXer in the world up. Unbelievably like a true HRC star it fired on the first kick when everyone was gathered around for the photo shoot. There is a Motohead photo shoot on the horizon and the written article is to run in their web mag as well as Pulp MX in due course.